Situated in the heart of Orange County, one of California’s most populated areas, SpeedPro Imaging North OC can help businesses throughout the region with their large format graphics needs. If you have a set of plain vehicles sitting around without any form of branding, you’re wasting a tremendous marketing opportunity. With our expertise and experience, we can transform them in moving billboards with our custom fleet wraps. We operate as part of a franchise that’s among the nation’s largest in producing promotional materials, and we’ll use our vast array of resources to provide you with graphics that are bold, sharp and effective. You’d be hard-pressed to find a more cost-efficient marketing method that maintains such high degrees of effectiveness. Just one vehicle wrap can generate between 30,000 and 70,000 impressions per day, with the higher range likely in such a heavily populated area. When you multiply those numbers by the number of vehicles you own, you’ll see that wraps can yield enormous gains. Additionally, 97 percent of drivers say they’re more likely to remember products and services they saw through vehicle advertising, and 27 percent say they make purchases based on those graphics. At SpeedPro Imaging North OC, we’ve done work for Enterprise Rent-A-Car and other high-profile businesses, so we have plenty of experience when it comes to fleet wrapping. We’re prepared to handle any number of vehicles, as well as any kind of vehicle. From small compact cars to lengthy tractor trailers, no vehicle is too big or too small to start pulling in more customers for your business. We’ll take the time to learn every detail of your project through a collaborative consultation session. Once we have a thorough understanding of your wants and needs, we’ll make appropriate recommendations that keep the process fluid and stress-free. We offer full and partial vehicle wraps, each of which affords its own set of positives and negatives. Full wraps are the ultimate package, as they transform your vehicles into fully functional 3D billboards. Partial wraps cover one particular area of a vehicle, which offers cost efficiency while still making an impressive impact. Your wrap will be printed using top-of-the-line materials and long-life, UV-resistant inks. These materials will not only stay vibrant for up to five years but also preserve your vehicles’ paint so that you don’t have to worry about how it will look when you remove the graphics. If you’re curious about the appearance of your wrap, we can use our predictive software to give you a preview. The rendering, which can be done on multiple vehicle templates, will show you exactly how the design will appear in real life. You’ll have an opportunity to provide feedback, and we can adjust and correct any potential issues before production. We’ll work hard to complete installation on the timetable you prefer. Once you have each vehicle thoroughly cleaned, you’ll just need to bring them all to our studio so that we can get started. By calling us today to schedule a consultation, you’re taking the next step in progressing your mobile marketing strategy. 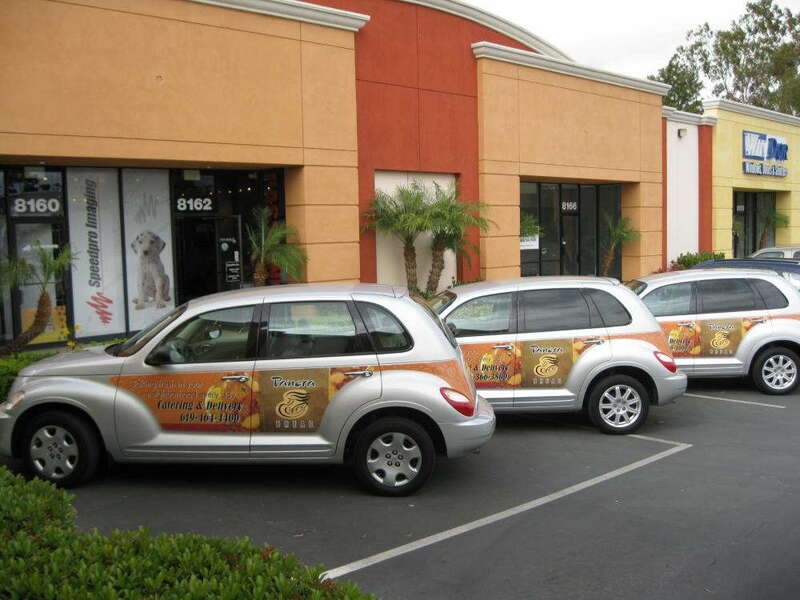 With our help, your custom fleet wraps will command the attention you feel your business deserves. If you’d like to visit our studio, we’re located on Parkway Loop just off of Edinger Avenue, near Interstate 5.